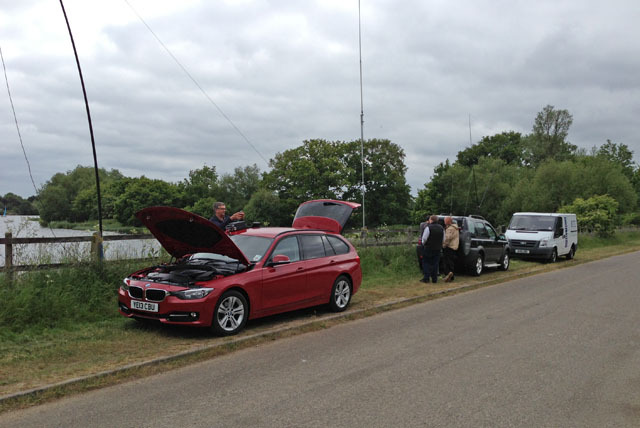 A group of local radio amateurs decided to meet up ‘down by the reservoir’ this afternoon to play wireless for a while. I arrived just after 15:00 to find everything in full swing. There was John M/KK4OYJ, Yan M0YNK, Chris 2E0DBY, Chris’ son, Dean and Gary M6IGM already there when I arrived and Mark M0MJH arrived soon after. 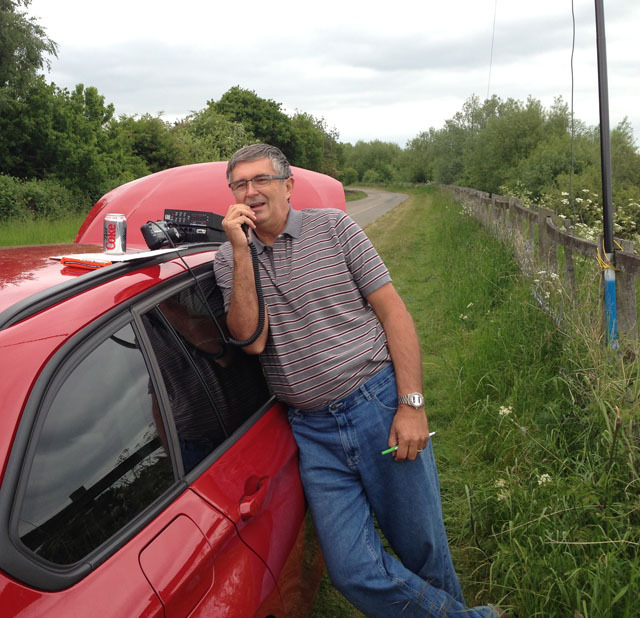 Two stations were set up, John working with an inverted V on 40m and the two other aerials, an Antron 99 and a Prowhip delta loop both connected to Yan’s radio in the back of his car. A number of inter-G QSOs were made on 40m using John’s TS-480 and on the higher bands, contacts were successfully made into Europe and north America using Yan’s TS-2000. John is in the UK for a couple of weeks and staying very close to where we operated from so it was nice to meet him for the first time. It looks as though we were all parked on a bend but that’s because it’s a composite image stitched together. The road was actually very straight. After a couple of hours the temperature was starting to drop, the wind picked up and some nasty flying biting insects started to show so it was time for me to call it a day although Yan and Gary were still there when I left. It was an enjoyable and leisurely way to spend a Sunday afternoon.